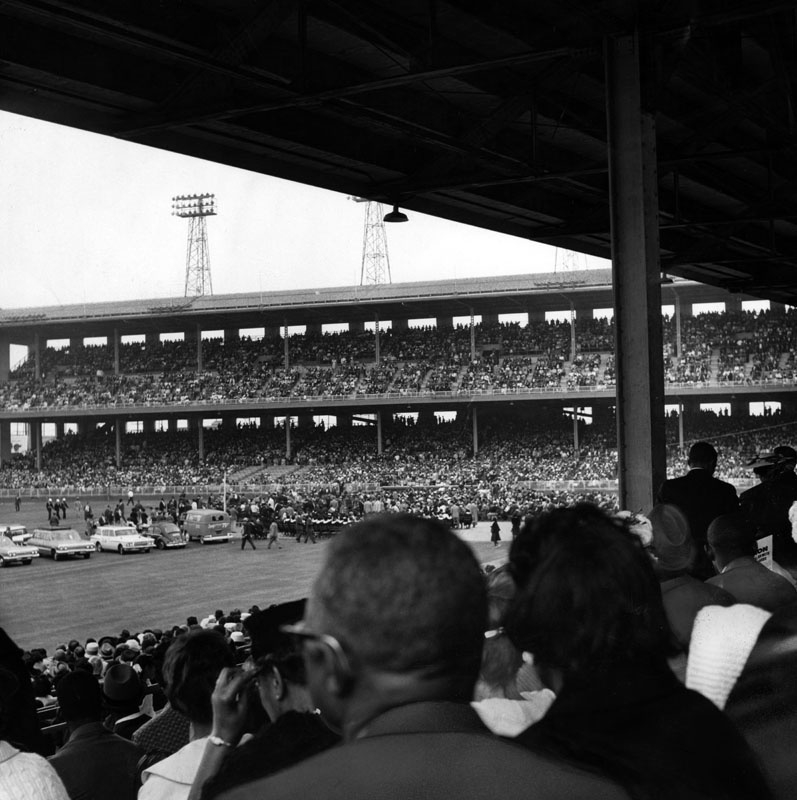 A crowd of more than 35,000 jammed Wrigley Field for a freedom rally on May 26, 1963, at which Dr. Martin Luther King, Jr. told the audience, "We want to be free whether we're in Birmingham or in Los Angeles." Die-hard Dodger fans might know every little bit of trivia about the boys in blue, but how much do they really know about the history of baseball in Los Angeles? For example–can you name of the ballpark built here in 1925? That's right! The original Wrigley Field was NOT in Chicago, it was right here in Los Angeles. Architecture critic Christopher Hawthorne wrote about this for the Los Angeles Times. He joined A Martinez to talk about LA's short-lived Wrigley field and more baseball history.